The viral internet sensation ‘Dancing Uncle’ aka Sanjeev Shrivastava has been living his life to the fullest. After his video of him and his wife dancing to Govinda’s 1987 film Khudgarz song ‘Aap Ke Aa Jane Se’ spread like fire across the internet, he has been getting many opportunities. Since his sudden internet fame, he has created social media profiles to share more dancing videos on Govinda’s songs. Just a week ago, the professor got an opportunity to visit the sets of Salman Khan‘s Dus Ka Dum. Now, he finally got to meet his idol Govinda and it was a sight to watch. 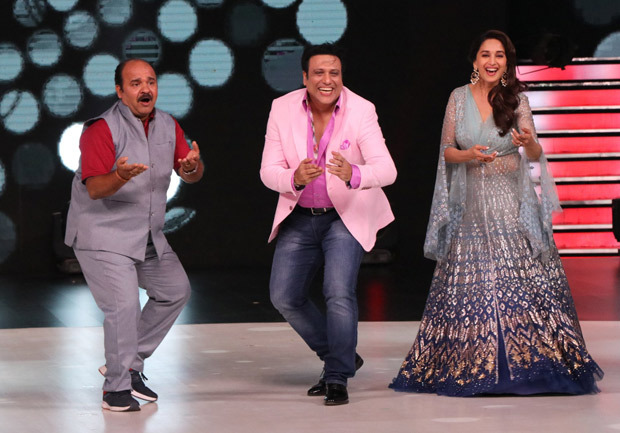 At the reality show Dance Deewane, Govinda was invited as the special guest that has Madhuri Dixit, Shashank Khaitan, and choreographer Tusshar as judges. 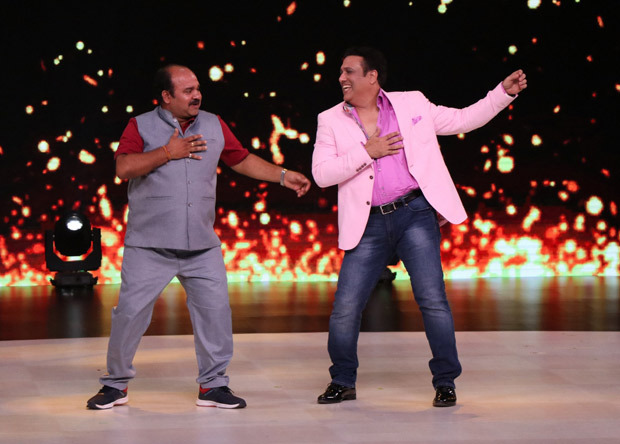 In newly released photos from an upcoming episode, dancing uncle Sanjeev Shrivastava got the surprise of his life when he saw his idol, Govinda. 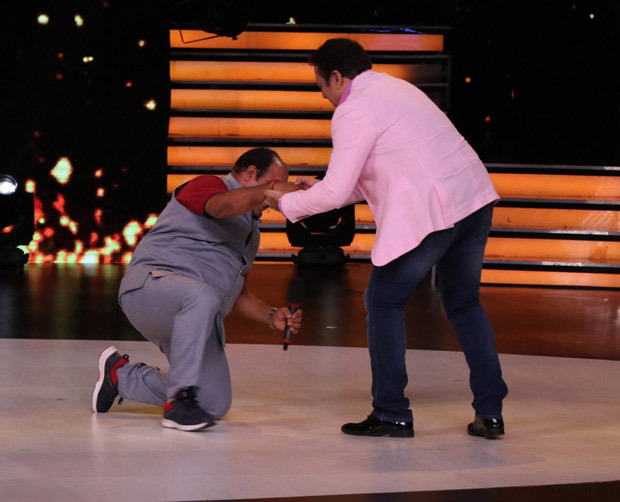 He bowed down before getting a hug from Govinda as the duo danced on hit tracks along with Madhuri Dixit. The upcoming episode will feature the duo dancing together. 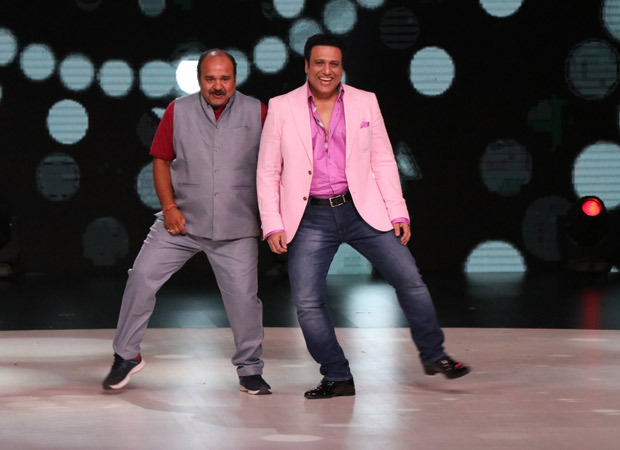 Govinda, who was equally thrilled to see Sanjeev dance to the tunes of his song, has earlier stated that it was his uninhibited dance performance that won many hearts. The actor believes that not being conscious whilst dancing is the key to a good performance and Sanjeev’s joy is reflective in his moves. Sanjeev Shrivastava is an assistant professor of electronics at Bhabha Engineering Research Institute in Bhopal. Salman Khan to have cameo appearances and voiceovers in 5 films in 16 months!